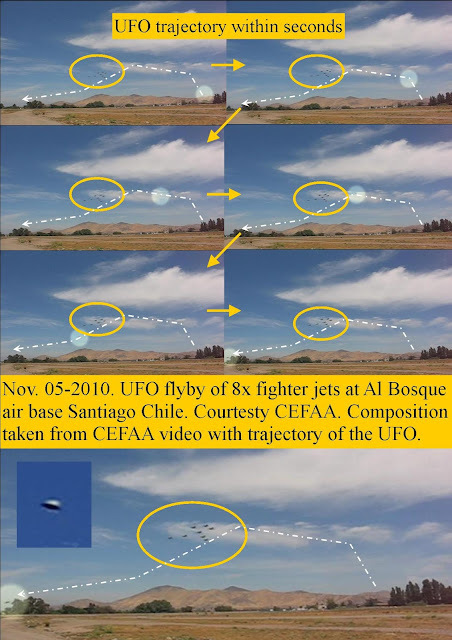 Ultra High-speed UFO stalking military jets, flying over airbase in Chili. 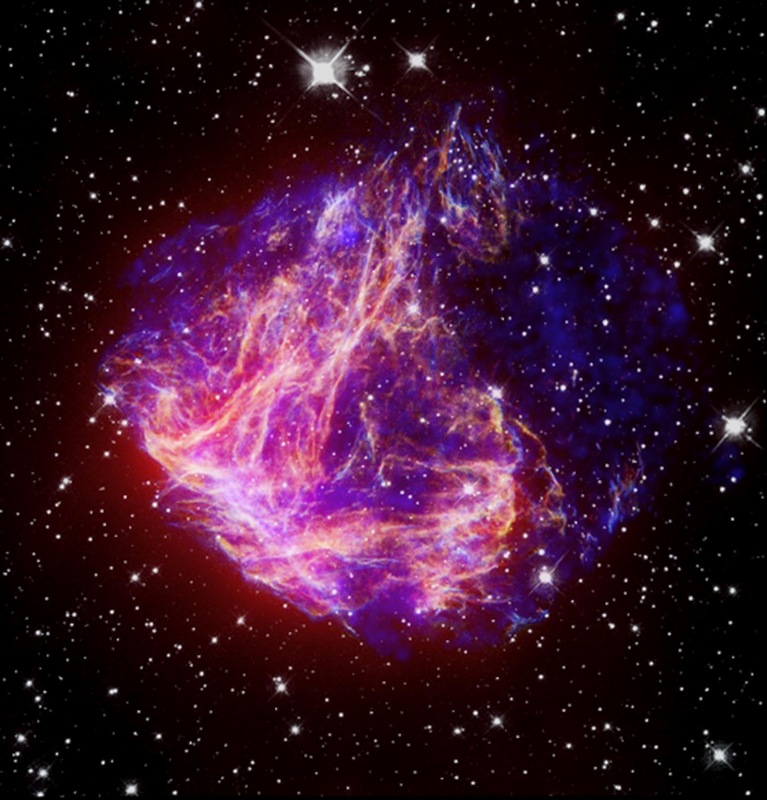 UFO: 2012 is this a breakthrough? 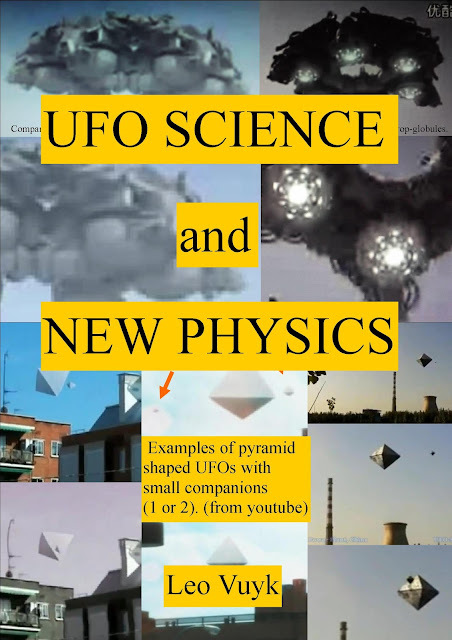 But afterward, an engineer from the adjacent Pillán aircraft factory noticed something bizarre while viewing his footage in slow motion. 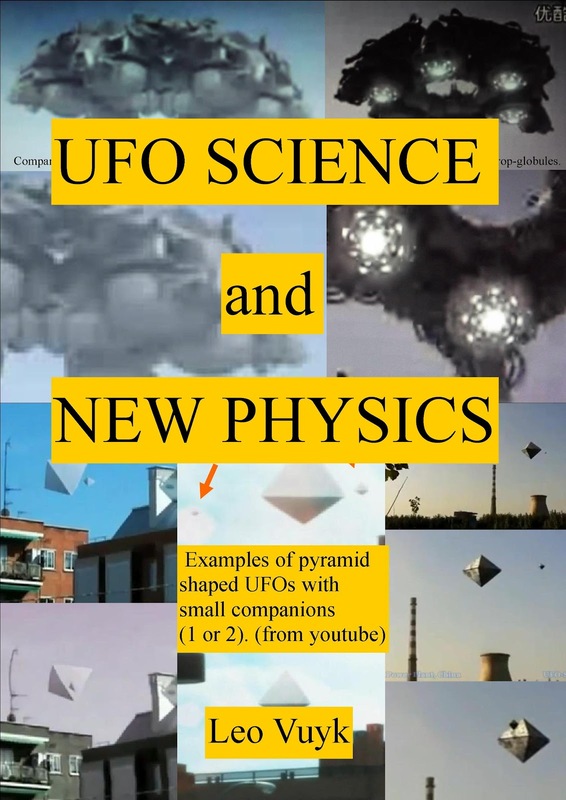 He turned it over to the government's well known Committee for the Study of Anomalous Aerial Phenomena, or CEFAA, for analysis. Niburu reported the UFO speed around 6000-9000 km/h. Solar UFO, eruption of a Sunspot and the creation of a new Comet. 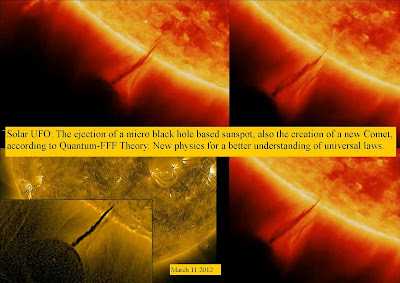 Unidentified Object sun explained by Quantum-FFF theory. According to NASA scientists, the feature is actually a little-understood type of solar activity called a prominence. How is it possible that TWO micro black hole based sunspots are able to overcome the gravity of the sun? 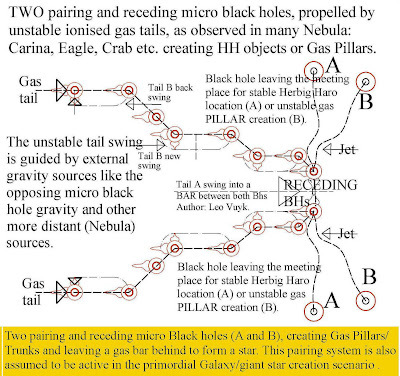 By the same process as the splitting and dual accelerating black holes of the Eagle nebula, described in this Blog according to the new physics of Quantum-FFF theory.. If we look at the video above I observe a double plasma tail behind the erupting sunspot, as a sign for the double or splitting sunspot. 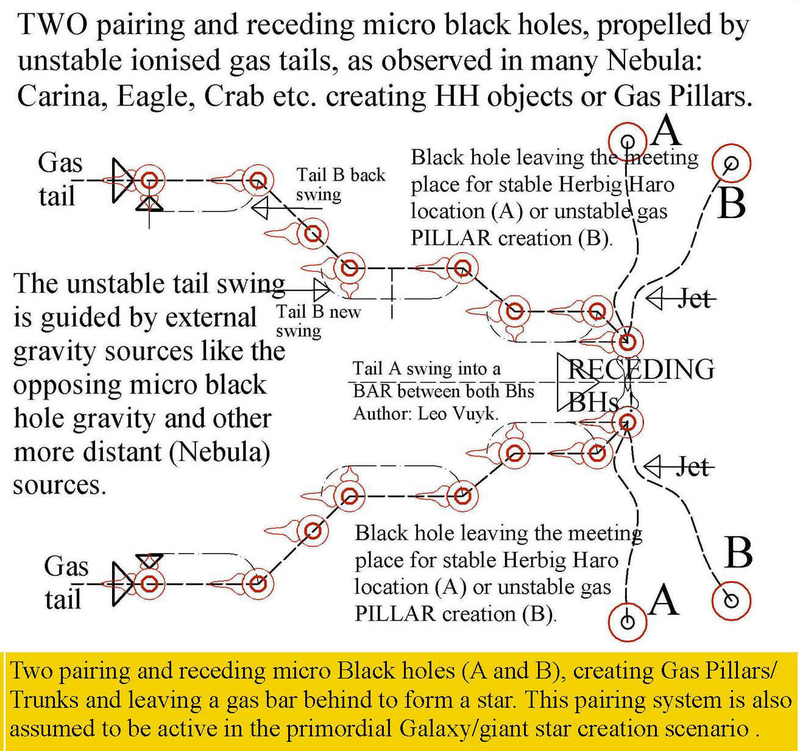 See: ZPE Zero Point Energy examples around black holes. 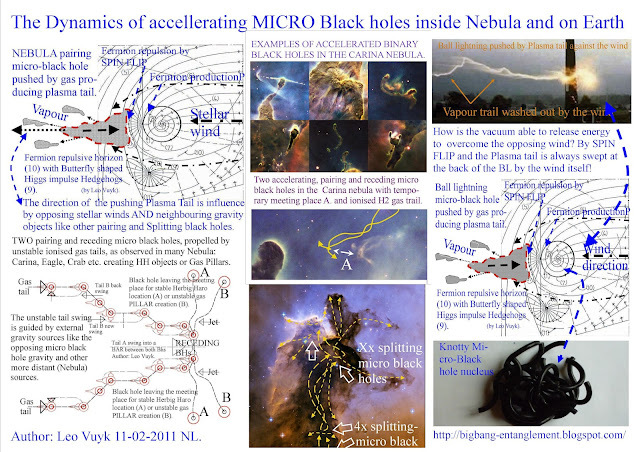 Examples of accelerating and gas trailing new paradigm black holes inside a supernova nebula. "ACCELERATING BLACK HOLES"seem to exist at all scales, from ball lightning Comets Sunspots and inside nebula. 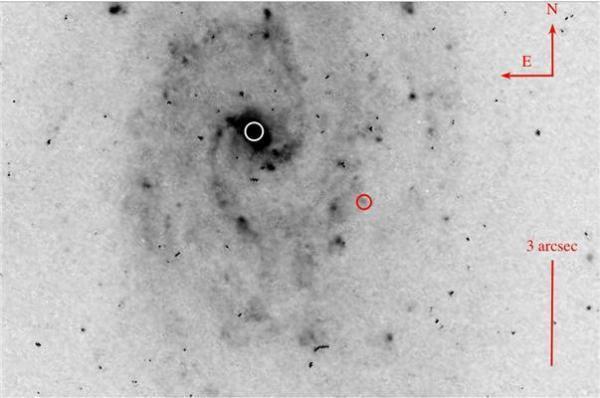 Even super massive black holes can leave the centre of Galaxies, they are called "recoiling black hole" or Recoiling Supermassive Black Holes.